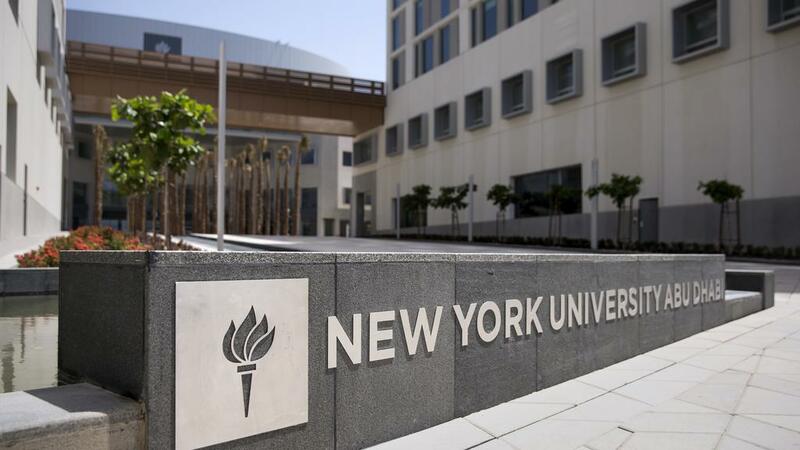 The general management and operation of the New York University are vested in the Residential Life and Housing Services. The campus is comprised of two graduate living communities and twenty-two residential halls that offer a home to about 12,000 graduate and undergraduate students during the summer season and the academic year. The following is a list of ten NYU buildings you need to know. The recently furnished Britany Hall holds a wide range of first-year students. It has three floors where students can opt to live on an application. This fantastic ancient building has the Rhodes room. This is a vast performance space and lounge. The Rhodes room serves as a laundry room, Penthouse study Lounge, dance room, music room, as well as a recreation area. The Brittany Hall entails two professional members of the staff working full time, a resource manager for the resource hall, 14 resident assistants, an assistant for the Resource Center and 2 faculty fellows. Nestled at the center of the East Village, this Hall has about 450 graduates and upper-class residents. The Alumni Hall shares its staff and programs with its East Village neighbors at the 7th street in the Green House. In combination, these two Halls constitute the 7A Partnership. Alumni have 100 percent single bedrooms. Each resident owns a bedroom and shares a suite with fellow suitemates. The bedrooms are installed with a closet, dresser, desk, and a bed. Main areas feature a table, two chairs, a stove, fridge, cabinets, and sink. Alumni comprise two lounges that were renovated previously: a pool table with a TV lounge, and an extensive area for study. There are several activities to participate at Alumni. The 7A Partnership Hall Council is a fantastic chance for you in becoming a community leader through serving as a floor front man or vying for an office. Carlyle Court is an active community comprising of 740 sophomore students. Consists of three buildings facing the Union Square Park in a courtyard that has several trees. The Carlyle has a pair of lounge areas: the C1 lounge for study in the first tower and the C2 lounge for entertainment in the second tower. Tower 3 entails a practice area that is fixed with several pianos, a ballet bar, and mirrors. Each tower boasts of a laundry room and a pair of elevators. Carlyle Court is designed with two varieties of room accommodations for residents. It has one-bedroom suites that hold 3-4 people and studio apartments that have a capacity of two residents each. The Broome Residential College is sited in the midst of the SoHo neighborhoods and the ancient Little Italy of the New York City. Broome Street accommodates the upper-class Residential College for seniors, juniors, and sophomores at NYU. This learning community was realized in 2007 and prides in its six Faculty affiliates connected to different streams, two Faculty Families in Residence, nine undergraduate and graduate Resident Assistants and a robust BEAST Hall Council led by students. Coral is a fantastic student community situated in an excellent location of NYU. The tower is nestled among some blocks of the East Village, Gramercy Park, and the Union Square. This community comprises of about 400 students with different small-sized communities in it. Coral Tower provides a wide range of benefits ranging from double and single rooms in the suites to living options at low costs. Besides, there are three Exploration floors for Geek NYU, CHOICES and games. NYU boasts of the Goddard Hall as the most exclusive Residential College designed for first-year students. Nestled on the Washington Park, this building stands a short distance from the Kimmel Student Center, most classrooms, Bobst Library, and three various dining halls. Goddard Hall is next to the crossroads of the University’s liveliest surroundings. This Residential College is based on a core theme of citizen engagement thus affiliating learners to the available six themed streams. As such, first-year students get the opportunity of establishing a strong foundation for achievement in their careers. The strategic location for this building is the fabulous West Village region neighboring the Hudson River and Park. These friendly community houses hold about 320 tenants. Greenwich Hall comprises 2-faculty fellow-in-residence and seven resident assistants. The community on board includes residents of different programs, backgrounds, and interests. Both the international and transfer students constitute the population of students in this community. However, the undergraduate seniors, juniors, and sophomores reside in the Greenwich Hall as well. Some of the available facilities here include a dining area, kitchen, bath, air conditioners, TV, pool table, dance room, practice rooms, and study room. This Hall features an excellent community of about 680 first year learners. Rubin Hall is sited at a stylish address right on Avenue 5. Served by the combination of a Writing Affiliate, a Faculty Fellow-in-Residence, a Resource Center Assistant and 13 Resident Assistants, Rubin comprises the First Year Residential Experience. You cannot miss anything to do in Rubin section of NYU. Various programming is offered by the staff. Some available services here include a billiards room, ping-pong room, piano room, dance room, study lounge, theater, and air conditioners. Comprised of about 600 first-year scholars, Weinstein has a fantastic team of professional staff members working full time. The building features a lounge with pool tables, ping-pong, and a TV. Three classrooms, laundry room, and a piano room are available in the sub-cellar. There are several dining points in the Weinstein Hall. The senior House is on the West 13th street. As an NYU final year student, this community offers you an excellent environment for socializing with the people around the campus. The community attracts many by its unlimited social and educational opportunities provided by the Hall Council, Resident Assistants, Faculty Fellow in Residence and the Building Leadership Team. It is a fantastic fact to discover that the New York University received thirty Academy Awards. This campus has been mentioned as a non-profit-making firm. People from different parts of the world are given the chance of pursuing their studies at low costs. An interesting fact about the New York University is that the campus is mainly located at the Greenwich Village, Manhattan, New York. The New York University was formed on 18th of April 1831. Bobcat is the mascot of this campus. Do you know NYU’s nickname? It is “Violets”. Violet is indeed the University’s official color. The New York University features vast libraries that accommodate the entire student community. The available eight libraries in this campus hold 4.5 million volumes. Both the study Center and the Elmer Holmes Bobst Library have 3.3 million volumes. NYU has about 420,000 alumni. This entire population features the US and other foreign states around the world. Foreign countries represent 9.7% of the total student community in NYU.